May: 'Q&A: Don't let go'), says that the US bears "major responsibility" for its current account deficit due to its "abysmally low national saving level," and that the US must "initiate credible reductions in its budget deficits and energy demands.? Greenspan has noted the heavy reliance of the US consumer on "capital gains, largely realized through an increase in mortgage debt, [that] do not increase the pool of national savings available to finance new capital investment." But there is no US leadership for actions that economists prescribe, so China's exchange rate has become a target. Nor is there political will to slow the huge real estate bubble on the US coasts that underlie global economic imbalances, since middle class voters increasingly depend on multi-trillion dollar real estate capital gains, due to an official 16% decline in median real wages since 1972. While it has nurtured asset bubbles through negative real interest rates, the Fed has been slow to act when distorted market price signals result in speculative excess. Greenspan has chosen, as he did in the late 1990s, to adopt a "see no evil" until after-the-fact approach. Excess credit growth is manifest in inflation in assets, bonds, energy, commodities, services, and in fueling very lucrative carry trades, while wage inflation, which the Fed focuses on, is held down by weak employment and global supply. Were tightening credit to slow the economy, is there a set of asset bubbles to replace the current ones? In the late 1990s, private capital inflows were attracted by the US "brand image" of innovation and "productivity." But huge investment booms based on "general purpose technologies," in this case, information and communications technologies, are rare, and how much further can baby boomer demographics support the real estate bubble? McKinnon's argument re the effect of revaluation on slowing growth in income and imports in China and East Asia seemed clear. Less clear to me was how he saw the economic path to a possible reversal of the historical sharp decline in manufacturing employment in the US, where finance now accounts for about 30% of corporate profits. As the "sole super-power" and beneficiary of reserve currency status, it might behoove the US to deal with its own economic problems, while nudging other economies to reform. Not helpful would be a reprise of the US role in the dollar crises of the early 1970s, when the Treasury Secretary said, "the dollar is our currency but it's your problem." If other nations feel the US is acting irresponsibly, then they may gradually reorient away from US leadership. While Pete Mason's article (May: "3G's risks and rewards") was informative, the discussion left out an important question: how ready are the hardware and software that exploit 3G's promises? The world can build all the bandwidth it wants, but if the applications that utilize it are under-developed, then it's just another investment laying to waste. Yes, on-demand music or video that streams to the cell phone sounds great, but do the phones have the processing capability? The importance of market timing also cannot be overstated. Are consumers ready to let their cell phone-based electronic secretary book their flights and hotels? Are the apps so killer that they're willing to pay the user fees? In the end, it's all about return on investment: if the application isn't timed in hand to generate revenue for the infrastructure, and the masses haven't yet bought into the innovation, then all the billions of dollars invested in 3G will have been in vain. 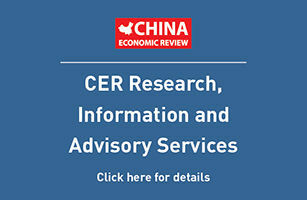 Letters are welcome by email: letters@ChinaEconomicReview.com or fax: +86 21 5385 8953. All letters subject to editing.